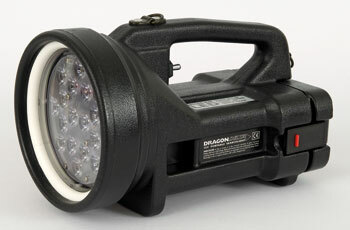 DRAGON DELTA SPIDER-EYE LED portable searchlight, with both high and low beams. 18 individual Cree L.E.D.s produce an intense beam of bright white light, equivalent to 165,000 candle power. 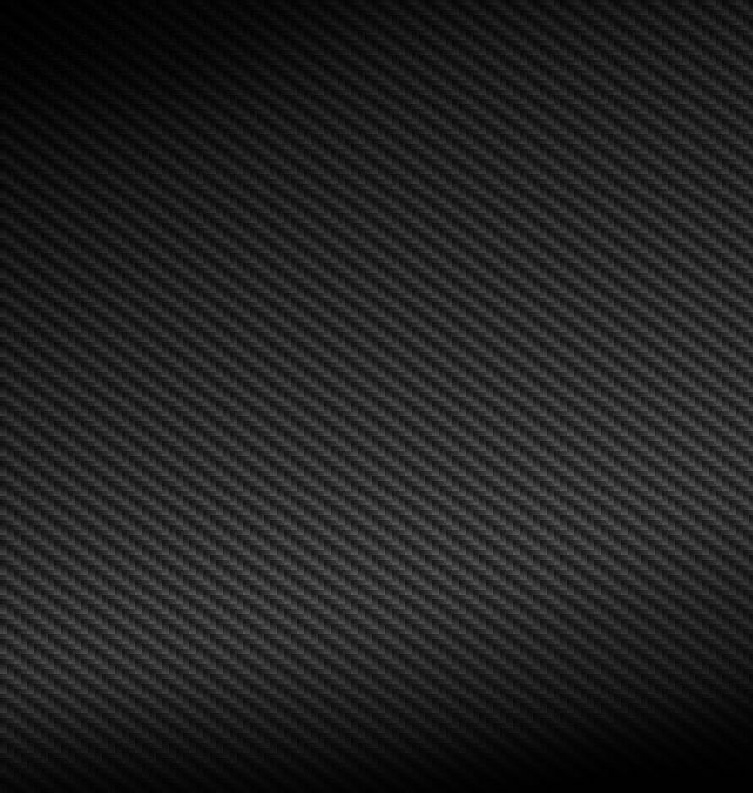 Dragon Delta Spider-eye lasts for up to two and a half hours on high beam and five hours on low. DRAGON DUOBEAM SPOT/FLOOD combines 2 LED arrays in one unit, giving the user a clean white powerful long - range spot-lamp and a super wide flood, both running at the same time! State of the art L.E.D. 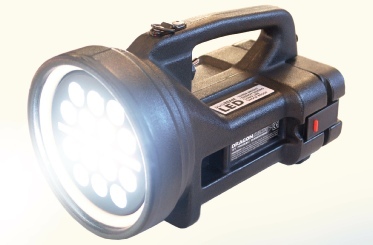 technology is allied to a trusted design to make a rugged & versatile search & utility lamp.